Sherry Hernandez: Still Trying To Get Caught in the Revolving Door. 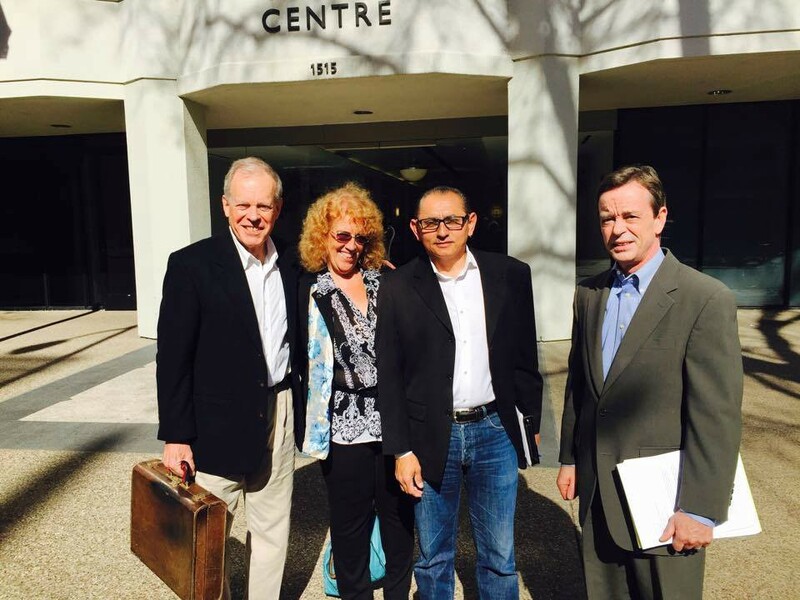 Foreclosure Fighters Robert Bennett, Sherry Hernandez, Carlos Marroquin, Chris Wyatt. When I last left Sherry — a very unhappy California homeowner — she had just been arrested in Washington DC; literally, while trying to block the entrance to the vaunted white shoe law firm, Covington and Burling. Sherry — a writer and artist — was part of an entourage I wrote about that had traveled to the nation’s capital in May, 2013; part of three days of protest targeting the Department of Justice for its lackluster response to the foreclosure crisis. A few of us still remember that Eric Holder ran the show at the time and his benign attitude towards Wall Street gave solace and comfort to those who thought it was a God-given entitlement that they should turn the nation’s homeowners — and the equity in their houses — into a continuing revenue stream. The Revolving Door they were trying to get stuck in was the revolving door in Eric Holder’s old haunt, Covington and Burling, which was just a stone’s throw from his then place of employment, DOJ. That revolving door again spun swiftly when he left DOJ and was welcomed back with eager arms. Accompanying him was that other legal blowhard, Lanny Breuer — former head of the DOJ criminal division — who had won Wall Street’s eternal admiration for his classic “too big to jail” appearance on PBS’s Frontline series. …And, unfortunately, it didn’t stop Covington. The revolving door has been quite lucrative for the law firm and with obvious help from Messieurs Holder and Breuer they just hit a new jackpot (ka ching!) surpassing $1 billion in revenue. Sherry Hernandez was/is one of those millions trying to negotiate a fair and just modification while fighting to keep the eviction wolves away from the front door. But it’s like Sisyphus trying to roll a modification stone up a steep hill. You seem to be making a bit of progress and then, whoops, that rock takes an abrupt backslide to square one and despite shouting from a moral high ground about how Mega-Bankers were the recipient of all that marvelous green stuff showered on them by the U.S. Treasury, in the end, it all falls on deaf regulatory ears. These same institutions continue to line their pockets with profit and forget about any of this trickling down to cash-strapped homeowners. Sherry’s story follows an all too familiar trajectory and one that any homeowner who’s had the misfortune of dealing with nobody’s-favorite-mortgage-company, Countrywide Financial, can relate to. Countrywide was an outfit cast in the Enron mold, headed by the now-disgraced “entrepreneur,” Angelo Mozilo, who many feel should have sat in the criminal dock rather than slipping away to a comfortable retirement forking over just a bit of his ill-gotten financial gains to the SEC. No justice there. In 2008, Sherry and her husband found themselves in a knock-down dragged out fight with Countrywide and Bank of America (which had acquired the lender that same year) over predatory lending practices that included pumping up interest rates to unconscionable levels and laying down unforgiving pre-payment penalties and it got so bad that the Hernandez’s took Countrywide/Bank of America to court charging fraud and “bad faith.” This court initiative allowed them breathing room to try and negotiate a new, more tolerable loan and by 2009 they seem to have found an option with CitiMortgage. But in the topsy-turvy world of mortgage lending what the lender says you’ll get is not necessarily what you end up getting and after giving the Hernandez’s a 3-month trial modification their loan was dutifully sold off to PennyMac, a company put together by a group of executives that cut their mortgage teeth at, yes, the aforementioned Countrywide. PennyMac turned a deaf ear to their pleas for fair and equitable treatment and after playing the now-you-see-it-now-you-don’t modification game (Sherry alleges PennyMac was never serious about settling) they went straight for the foreclosure jugular. It was around this time, the summer of 2011, that the previously filed court case against Countrywide and BoA was put back on the court calendar and despite the on-going fight with PennyMac the Hernandez’s were able to win one sweet victory, forcing defendants Countrywide and Bank of America to formally “apologize” for dabbling in predatory lending practices and wound up paying the couple an undisclosed amount in damages. But the vindication was short-lived. Today Sherry remains in California’s 4th Appellate District Court fending off continued assaults by PennyMac (and anyone who’s ever been involved as a Defendant in a foreclosure case knows that Plaintiff Banksters are harder to shake than an infestation of fleas on a mangy dog). But with true heart and vision Sherry has pressed on with her excellent anti-foreclosure adventures trying — with a bunch of fellow crusaders like Carlos Marroquin (Occupy Fights Foreclosures)— to try and force answers from California Attorney General now turned Presidential hopeful, Kamala Harris, about why all those monies from the National Mortgage Settlement (which I covered when I was writing for American Banker) simply seemed to vanish into thin air (well, more appropriately, repurposed by then Governor Brown to plug holes in the California budget rather than being used for homeowner’s salvation). In August, 2014, KPFA — the Pacifica Radio station — duly recorded Carlos and Sherry giving the blow by blow outside of Kamala’s AG headquarters and for anyone thinking about Kamala as a Wall-Street busting President it’s a good video to watch and share. 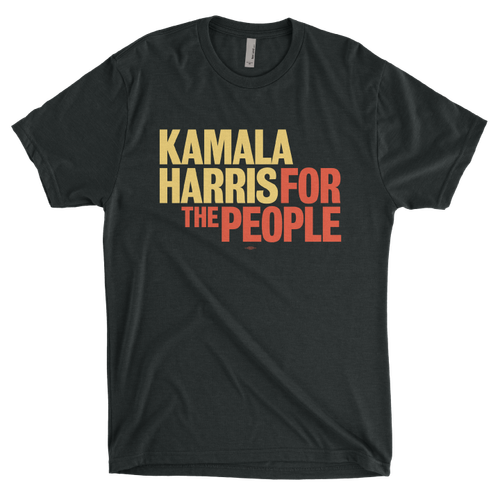 Access to political power is something bought by those with financial resources and while Sherry and the homeowners who followed along were turned away then, Kamala’s current campaign doesn’t blush when taking dough from special interests. Sherry ain’t going to stop. There are plenty of revolving doors. We need people like Sherry to continue the fight. Joel Sucher is a co-founder of Pacific Street Films (together with Steven Fischler) and has written for a number of platforms including American Banker, In These Times, Huffington Post and Observer. com. Joel Sucher has been producing documentaries for some fifty years and writing about subjects like surveillance, cinema, anarchism, foreclosure (among others).